Making homemade Sloppy Joes doesn’t require a can of sauce! 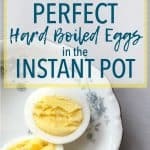 You can easily whip these up with pantry staples for a quick meal your family is sure to love! Simple meals are my jam right now. With three small kiddos running around, I don’t have a lot of extra time to be experimenting in the kitchen preparing our meals. I like having tried and true meals to make for my family, particularly meals that don’t require a lot of effort! Because even if I get the notion to make something fancy, my plans are thwarted very quickly by diaper changes, breaking up fights, and cleaning up messes. This meal brings about a bit of nostalgia for me. 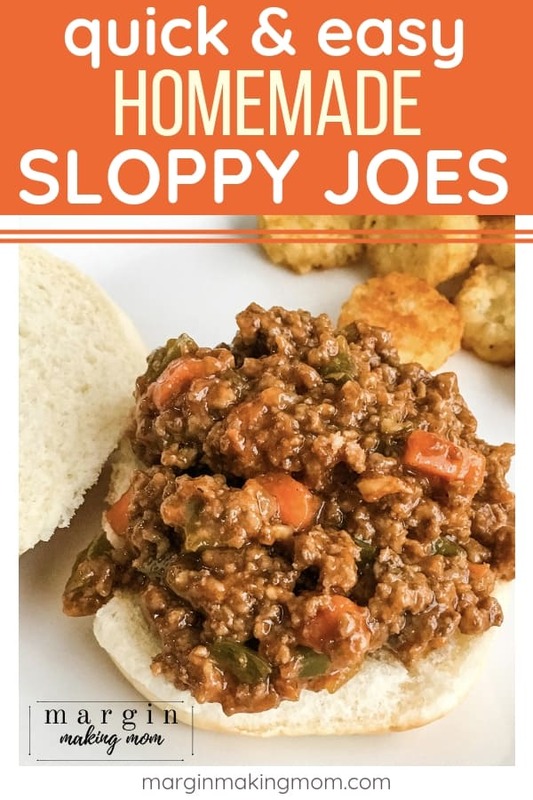 Raise your hand if you loved Sloppy Joes growing up! Yep, I thought so. 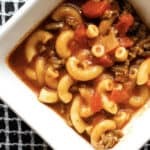 I’m sure most of us can remember our moms opening a can of Manwich to whip up a quick and easy lunch or dinner. 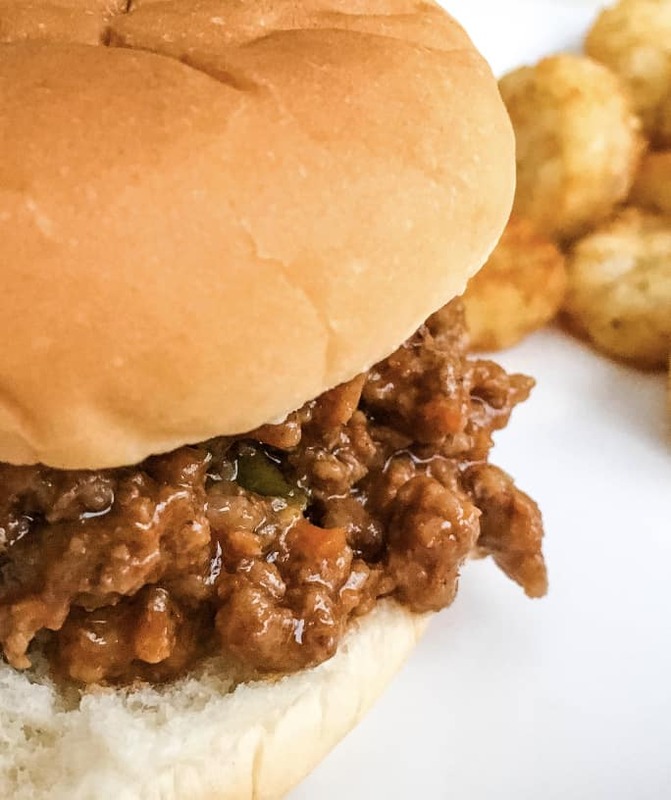 But did you know that it’s actually really simple to make homemade Sloppy Joes without the can? True story. 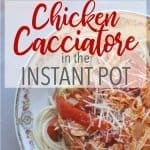 This recipe is a version I’ve adapted from both a Pioneer Woman recipe and a recipe from the Picky Palate cookbook that I received as a Christmas gift a few years ago (which is a great book, by the way). 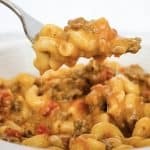 Using basic pantry staples, you can make the sauce while you brown some ground beef (or ground turkey, if you prefer). 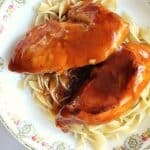 The sauce is slightly spicy and a little tangy, so it’s perfect! I also love the addition of some veggies, because nobody really notices that they’re in there. Muahahaha. If you have a kid with supersonic vision who can spot a veggie a mile away, you can always shred the carrots instead of chopping them, making them easier to disguise. In a saucepan over medium heat, saute the onions, celery, carrots, and peppers in some olive oil until they start to soften. Add in the ground beef and allow it to brown, breaking it up as it cooks. While the beef is browning, mix together the sauce ingredients so it will be ready when the beef has finished cooking. After the beef is browned, drain any excess grease and stir in the sauce. Allow the sauce to warm through, then spoon it over a bun and you’re set! If you need to save a few minutes of time, grab a bag of frozen mirepoix (chopped onions, carrots, and celery) from your grocery store. Then all you’ll need to chop up is the bell pepper. You can serve it on hamburger buns, rolls, french bread, or plain ol’ sliced sandwich bread. Whatever you have on hand is fine! Leftovers freeze well, so you can always double the recipe and freeze the extra for later if you want to. 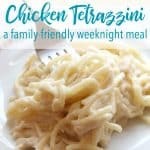 This was one of the many freezer meals I made during each of my pregnancies, and it was super helpful to have a variety of meals at the ready after the baby arrived. We often bake french fries or tater tots to go along with these sandwiches, or you can serve with a salad or pita chips or whatever floats your boat! 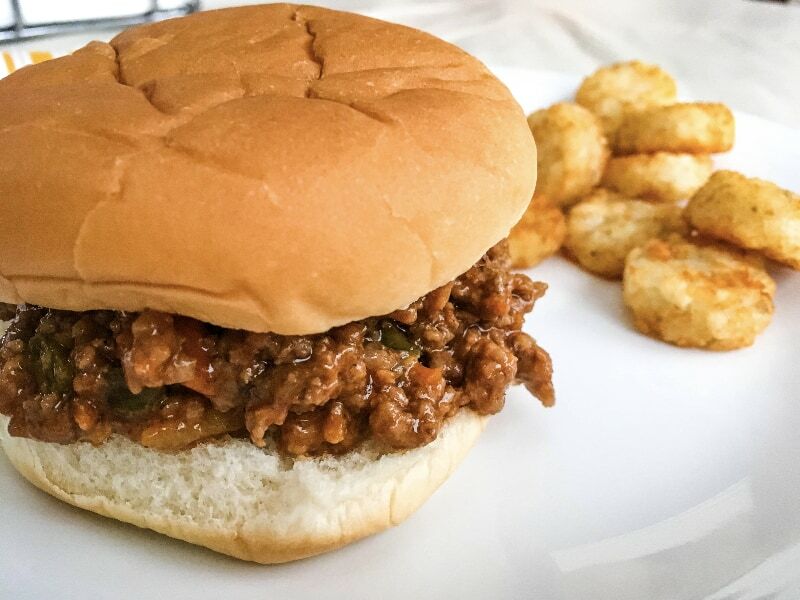 Add these homemade Sloppy Joes to your next weekly meal plan–I think you’ll love them! 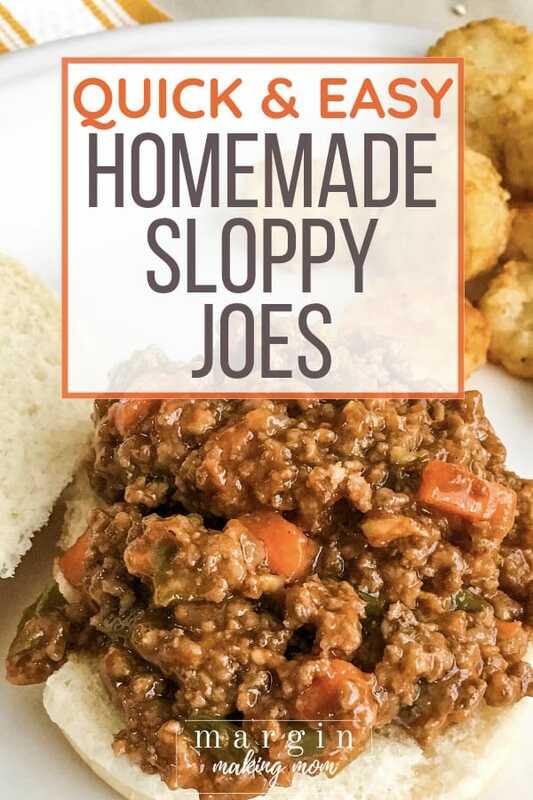 Making homemade Sloppy Joes doesn't require a can of sauce! You can whip these up with some pantry staples, making a quick meal your family will love! Add onion, celery, carrots, and peppers. Cook for about 8-10 minutes, stirring occasionally, until they are tender. 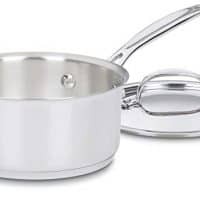 Add ground beef (or turkey) and garlic to the vegetables in the saucepan, breaking up the meat with a spoon or spatula as it cooks. While the meat browns, prepare the sauce by combining ketchup, mustard, Worcestershire sauce, salt, pepper, chili powder, and red pepper flakes (if using). Stir to mix well. Once the meat is browned, drain grease if necessary. Combine sauce with the meat in the saucepan. Reduce heat to low and allow mixture to warm. Serve over buns, rolls, french bread, or sandwich bread (or whatever bread you prefer!). If you need to save a few minutes of time, grab a bag of frozen mirepoix (chopped onions, carrots, and celery) from your grocery store. 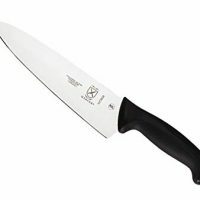 Then all you'll need to chop up is the bell pepper. You can serve it on hamburger buns, rolls, french bread, or plain ol' sliced sandwich bread. Whatever you have on hand is fine!